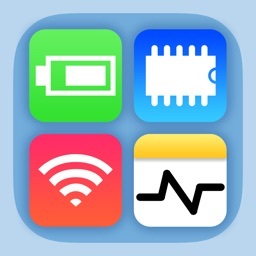 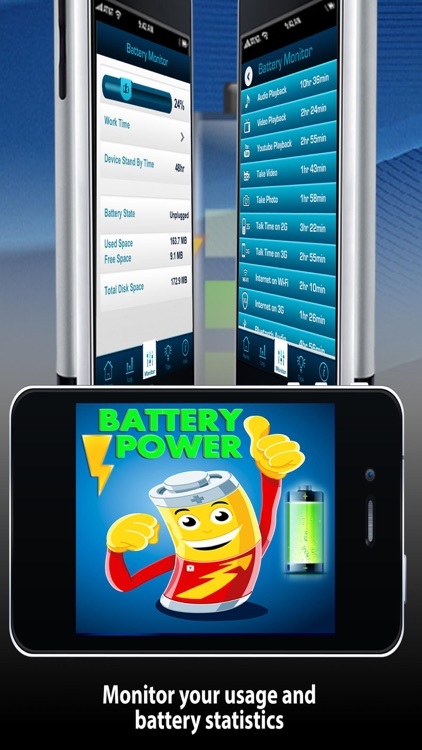 Universal App - Works on all iPhone, iPod Touch & iPad models - no need for separate downloads! 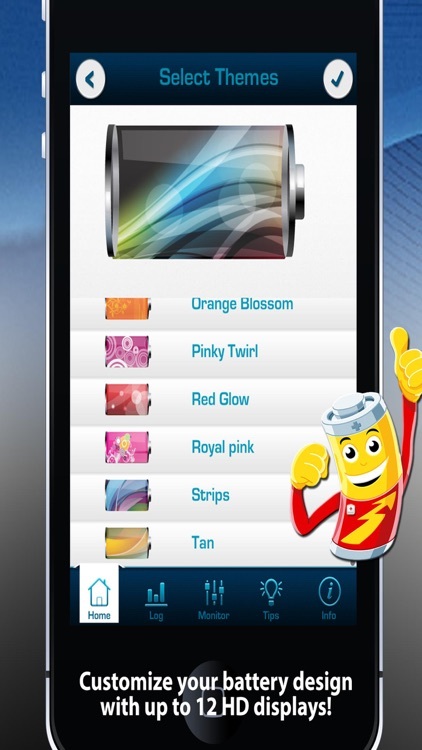 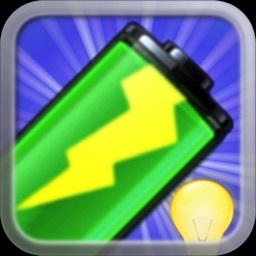 12 Themes - Customise your battery display within the app with 12 high quality designs! 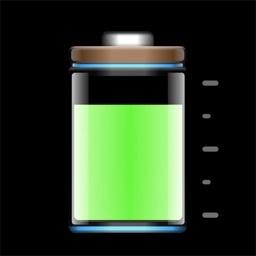 Monitor - To see your current battery state (charging/full) disk space, work time (For various tasks such as 3G, Talk Time, Gaming, GPS & Much much more!) 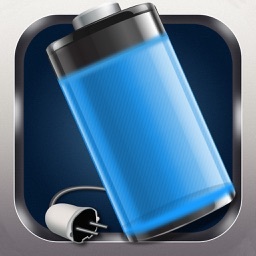 and standby time. 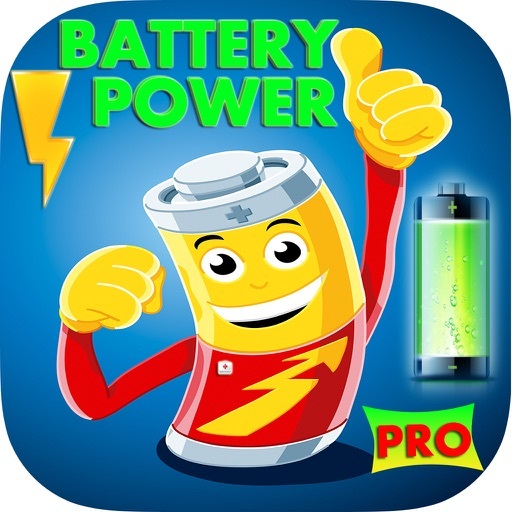 You can also change the meter to see what you may get if your battery power is less, this is useful for times when you want to see the estimated battery time you would have remaining - this is an indication only and is not exact and should only be used as a rough guide. 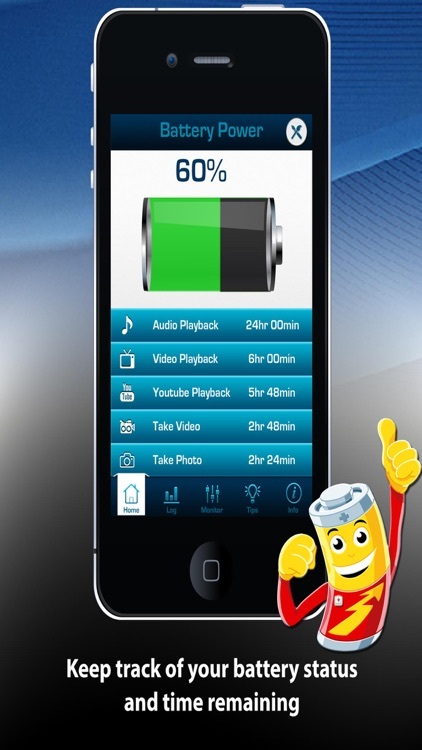 Reminder - When using the log feature, after reaching 100% you are able to set a reminder for 30 days to remind you to perform regular full cycle charges to keep your battery at optimum performance, giving you the BEST possible battery life for your iPhone, iPod Touch or iPad. Tips - Many useful tips and informations on the correct use of your battery - follow these tips and use the Battery Power app will help you keep a healthy battery life for your device.